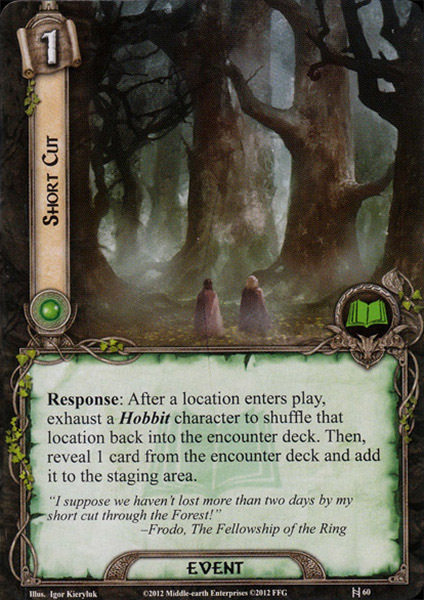 Response: After a location enters play, exhaust a Hobbit to shuffle that location back into the encounter deck. Then, reveal 1 card from the encounter deck and add it to the staging area. "I suppose we haven't lost more than two days by my short cut through the Forest!"